While the NFL is loaded with superstar talent at wide receiver, with big names scattered across the league, let’s give some love to the underrated wide receivers out there; the ones who produce at a high level, but may not get as much attention as Julio Jones, Antonio Brown, Odell Beckham Jr., and Larry Fitzgerald, for example. There are plenty of options out there, but today we look at five of the most underrated wide receivers in the league, and count them down from No. 5 to No. 1. 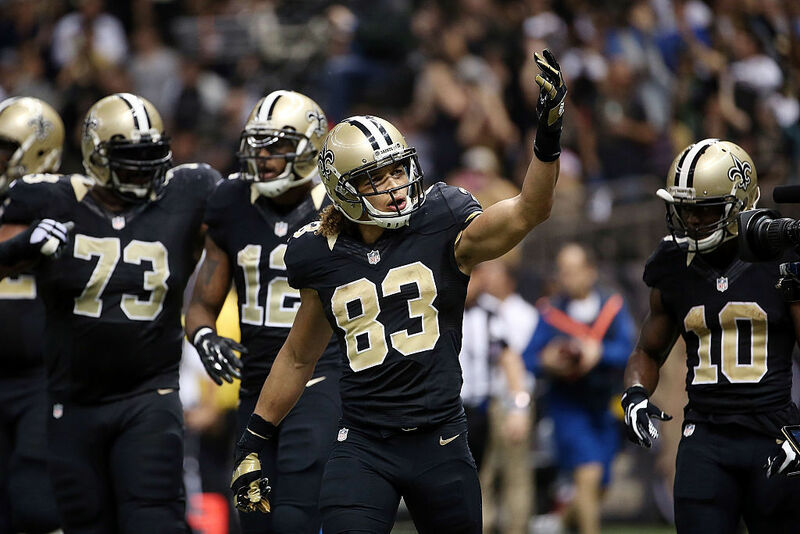 Willie Snead entered 2015 as a virtual unknown in the NFL world. An undrafted free agent out of Ball State, Snead immediately built a connection with Drew Brees, while doing much more than just carving out an offensive role for himself. Snead became a reliable, go-to option for Brees in the passing game, catching 69 passes for 984 yards and three touchdowns last season. While the New Orleans Saints added rookie Michael Thomas to pair up with Snead and Brandin Cooks, it’s hard to ignore the impressive rapport between Brees and Snead. If there’s one thing we’ve learned about the NFL, it’s that if a quarterback finds an immediate connection with a wide out, they probably aren’t going anywhere. Keep an eye on Snead in 2016. If we had to take a wild guess, the reason why John Brown is getting overlooked is largely due to the fact that he plays alongside Larry Fitzgerald and the man pictured with Brown above, Michael Floyd. For what it’s worth, Brown has now played two impressive seasons in the NFL. The Arizona wide out caught 48 passes for 696 yards and five touchdowns as a rookie, but his sophomore campaign was the one to remember. As a No. 3 receiver for the Cardinals, Brown still surpassed the 1,000-yard mark, finishing with 1,003 yards in 2015. He caught 65 passes and scored seven touchdowns. If the statistical increases are any indication, then Brown should be in for a huge 2016 season. 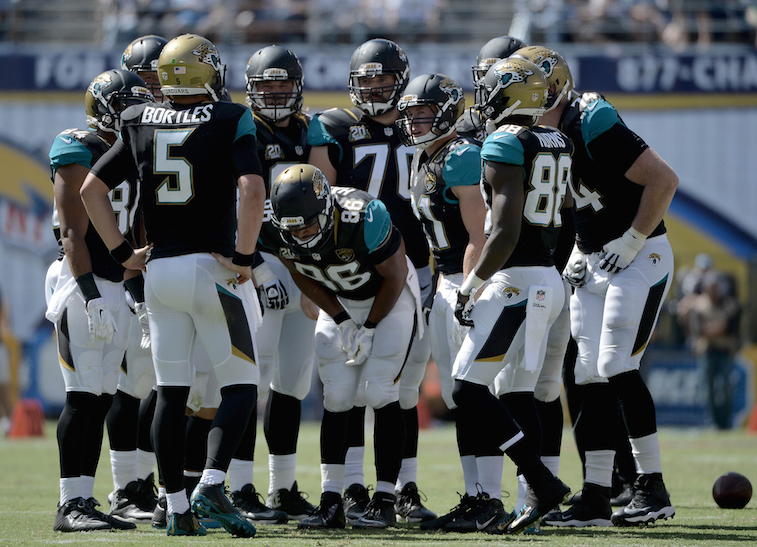 Allen Hurns is underrated because he’s on the same team as Allen Robinson — it’s hard to deny that. In 2015, Robinson caught 80 passes for a ridiculous 1,400 yards and 14 touchdowns. His incredible year overshadowed the strong season of his teammate, Hurns. The No. 2 receiver in Jacksonville caught 64 passes last season for 1,031 yards, while hitting the double-digit touchdown mark as well with 10. Hurns saw an uptick in receptions, targets, yards, yards-per-catch, and touchdowns from 2014 to 2015, and is another player who should be poised to improve once again in 2016. 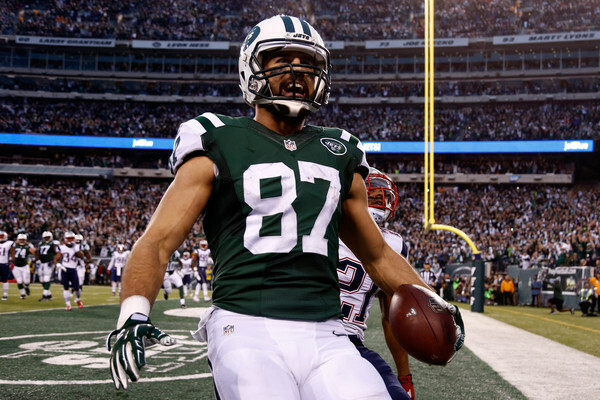 We’ll say this: The 2015 season was probably the first time that Eric Decker received the praise he rightfully deserved. He’s still underrated though, and we’re not going to let that fly. By assumption, Decker was a product of the Denver Broncos offense, but then he came to New York in 2014, and dealt with a headache of a quarterback situation. Even with that said, he still caught 74 passes for 962 yards and five scores. Then, 2015 rolled around and his partnership with Brandon Marshall was dominant. Decker caught 80 passes for 1,027 yards and 12 touchdowns. He is the real deal, he’s underrated, and he deserves more attention. Hat’s off to you, Mr. Decker for silencing critics. Jarvis Landry had the sixth-most targets last season with 165. That is a ton of looks from his quarterback, and many of them came on short routes. In total, he had a stellar 110 receptions last year, good for 1,157 yards. The most shocking part is that Landry had just four receiving touchdowns, which makes it clear that he was doing all the dirty work. Landry’s low touchdown total is what makes him so disappointingly underrated. This is the second year in which he’s had an impressive number of receptions, finishing up his rookie year with 84 catches for 758 yards and five touchdowns. Here’s to hoping Landry can get a few more looks down in the red zone in 2016. NFL: Is the Jaguars’ Allen Robinson an Elite Receiver?